That thing in the background is the docking tower in it's full height. Will update the server this week. Probably has been since the end of November. I just don't check all the time. Infinite Infinity Modpack now outdated and unable to join server . Some essential mods are still not updated. I can't edit the OP anymore ... what's going on? So yesterdays Update introduced an incompatibility with the "#" in our sign designators we use for our Map. The designator doesn't have to change however. MC Changed how it save Signs. It seems like the new system can't read "#" the way it was stored in the past. Once it loads a chunk with such data it takes the data and discards it. All map signs close to Ardinia have been compromised that way and have to be "rewritten". Now I stopped the server so we don't loose any more desgnators. I found NBTExplorer which allows me to edit the signs. I'll try to convert the remaining signs to use the new system. That way the data won't be discarded once the game loads the chunk. Maaan ... you guys placed a lot of signs I like them ... darn bug still on it doing work the computer should do. Ok. After manually editing every single Map Sign with the NBTExplorer and uploading the map. Then rewriting the search algorithm a little so it would recognize the new format, it now works. It takes both converted and new signs and puts them on the Map like it used to. oh yeah ... and someone needs to replace the signs in Ardinia, Ceivn and Nod. Should be about 10 Signs. The Designators of those are lost unfortunately. Some of the signs from the image above (e.g Lillypad) are gone too, but here it is as reference. Are you guys using some map mod that shows the map like the one that you just posted in-game? Ha ... the symbols for the different view angles changed. 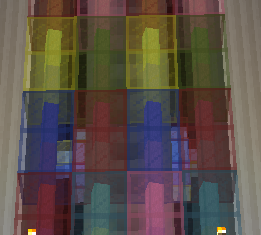 Oh, yes the Modpack has a minimap mod in there. It's all in the Opening post. It lools different though. But the modpack can't connect anymore. Its version is outdated. What do the markers start with and end with now after that patching incident? For some reason Mojang thought it is a good idea to have JSON inside the text NBT tag. Even though the NBT system could have done everything they wanted. It's a seprate command line tool. I manually run it regullary. Surely you must be able to schedule it? Get it to run automatically once a day (or hour, or something)? Yes. But it uses quite a lot of resources. If players are on the server they might notice it. So I decided to do it myself. It's just executing a script after all. Yeah I've created a script that does the work for me pretty much. I won't let it do it automatically regularly though. As it does take all the server resources and I don't want it to happen when players are online. I made some simple stations for the time tunnel. There's one roughly every 1000 blocks (11 stations in total + the end stations). I shall have to take a look. Good work! 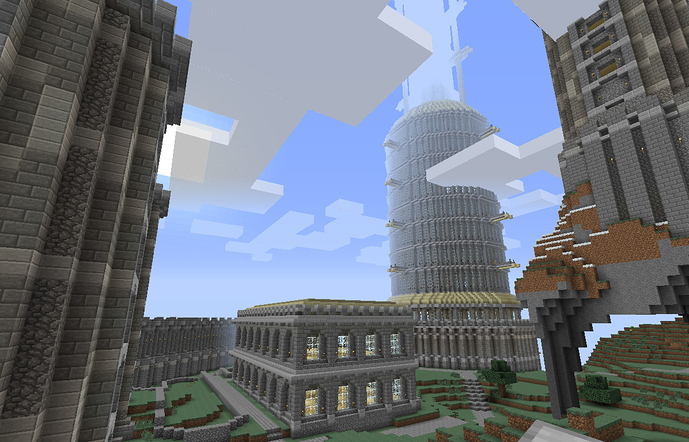 Also, I have just gotten round to installing the Optifine mod and it has improved my game performance massively. Highly recommend it if you don't have it. 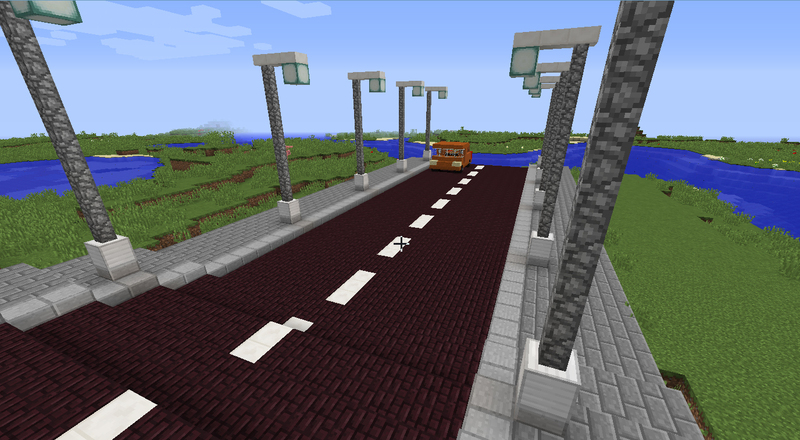 I was testing a way of making a good looking future road that looks ok and also has half slabs so that you can make some sloped parts as well. 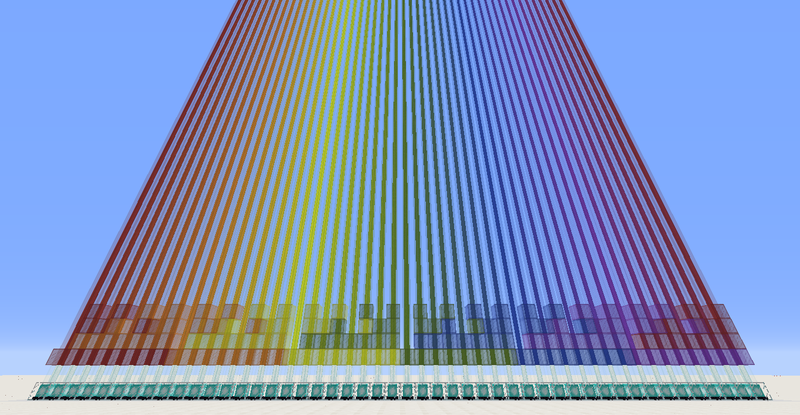 I think Nether brick + Quartz for stripes looks best (too bad there's no half slab coal blocks). I tried to make a car that can drive on such a road. 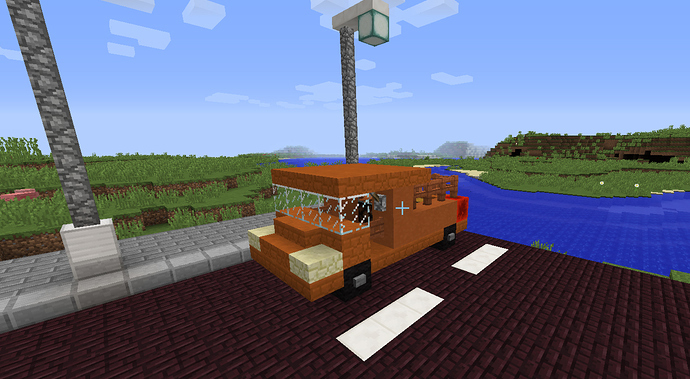 But it seems Nether brick,, stone slab and quartz are included in the car craft. Can this be changed? This kind of road would make an ideal standardized road type to be used across the future. I like the look of that road! And it can be easily expanded for more lanes or other types of road too.